Therefore we have optimized primaERP to make time tracking for teams as simple as possible. 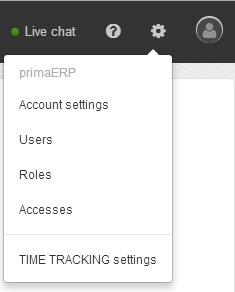 primaERP enables you to work within the same account with all the members of your business. a. Click on “Settings” which is located at the top right side of the main menu. b. Select “Users” on the sub-menu. c. You will see the list of users in your primaERP account. d. Click on the "+ USER” button. e. Fill in the name and e-mail of the person you wish to invite. f. Press the “SUBMIT” button. 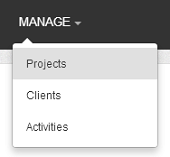 a. Click on the "MANAGE" option in the main menu and choose "Projects" in the sub-menu. b. You will then see a list of projects. c. Click on the project you wish to add a member to. d. Click on the “Member” tab and you will see the list of the project members there. e. Click on the "+ Member" button. 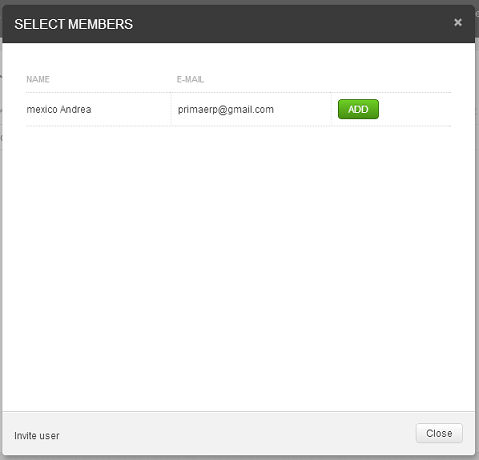 f. You can select and add one of the already available account users or invite a new one. g. Justr close the form. Once you remove a member from a project, the member will have not be able to access nor track time on it. However, you will not lose any information created by the removed member, unless you delete the user account. c. Click on the project you wish to remove a member from. e. Select the member you wish to delete and click on the "Remove" button. Deactivate: By deactivating a user, the user will lose access to the account for the next log in and you will free up one license. Note that with this action, the data created by the user will not be lost and you can re-activate him at any time. Delete: By deleting a user, the user will lose access to the account for the next log in and you will free up one license. Note that with this action, the data created by the user will not be lost. 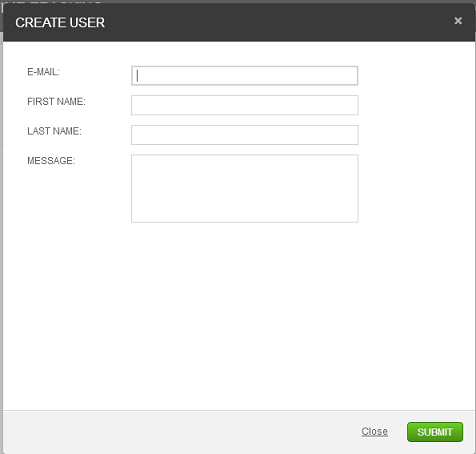 This action can only be performed by the account owner; the account users will have this option disabled. a. Click on "Settings", which is located at the top right side of the main menu. c. Click on the “License” tab. d. Press the “Upgrade your license” button. e. Follow the easy payment process. Once you finish and the payment is confirmed, you will receive a confirmation e-mail.